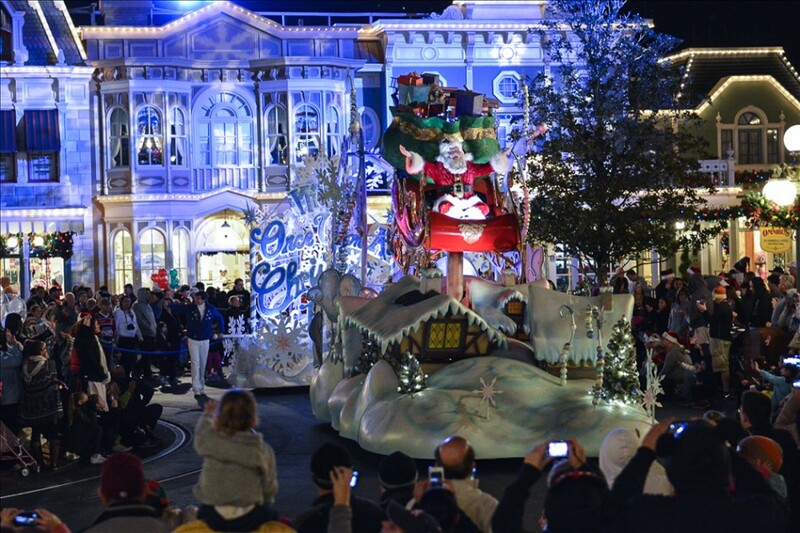 What's So Special About Mickey's Very Merry Christmas Party? 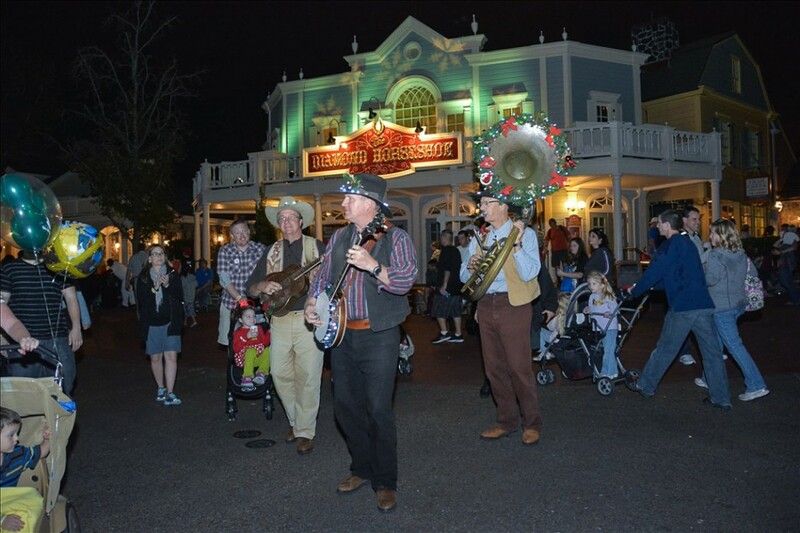 If you haven’t attended Mickey’s Very Merry Christmas Party at the Magic Kingdom, you may be wondering what is the draw is for this special holiday event that attracts thousands of Guests each year. The party costs between $52 and $67 per ticket so it’s a fair question to ask – just what does make this party so special? 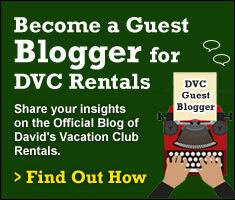 I’ve been to the party twice this season and can tell you what makes me go back each year. 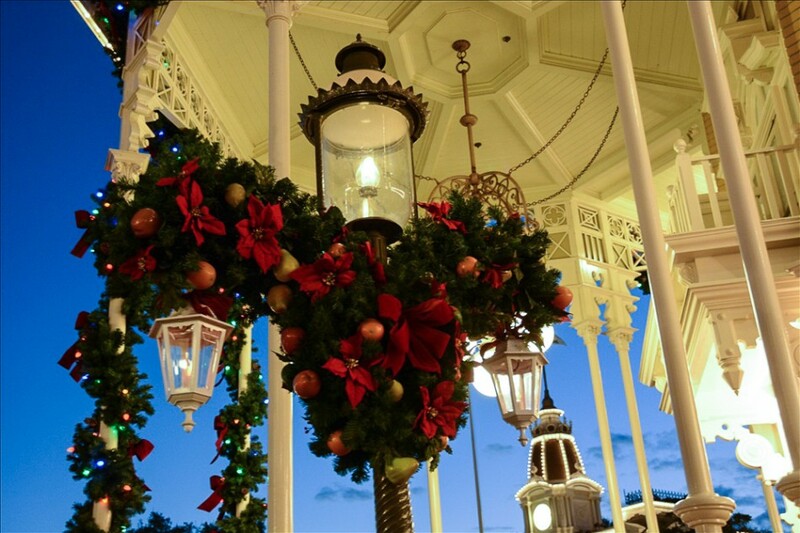 From the moment you step on Main Street all of your senses tell you that it is Christmas. Even with the warm temperatures of Florida, it just feels like winter. With the smell of gingerbread and candy and the sound of Christmas music filling the air, you immediately feel the excitement of Christmas that you felt as a child. Everywhere you look are lights and wreaths and garland, poinsettias, bows and ornaments – all the special decorations that make this season so beautiful. 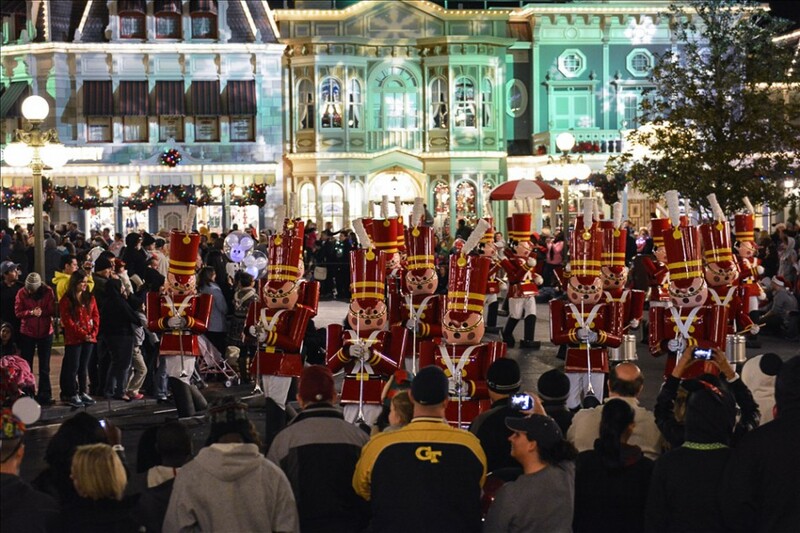 Even the Guests are dressed in Santa hats and Florida’s version of Christmas sweaters – red and green Christmas t-shirts. Who says it doesn’t snow in Florida? 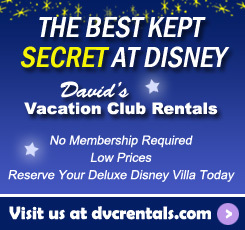 It does in the Magic Kingdom, but only on party nights. 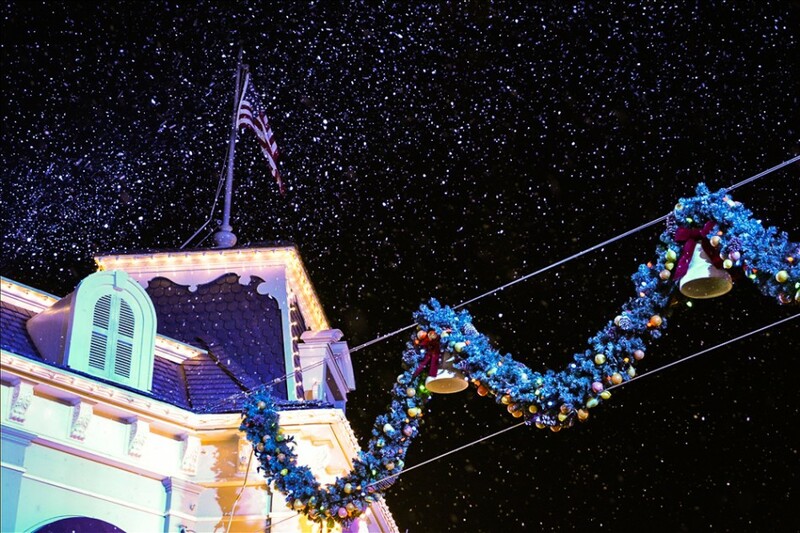 It’s very exciting when it starts to snow on Main Street, just like when the first snow of the season happens at home. 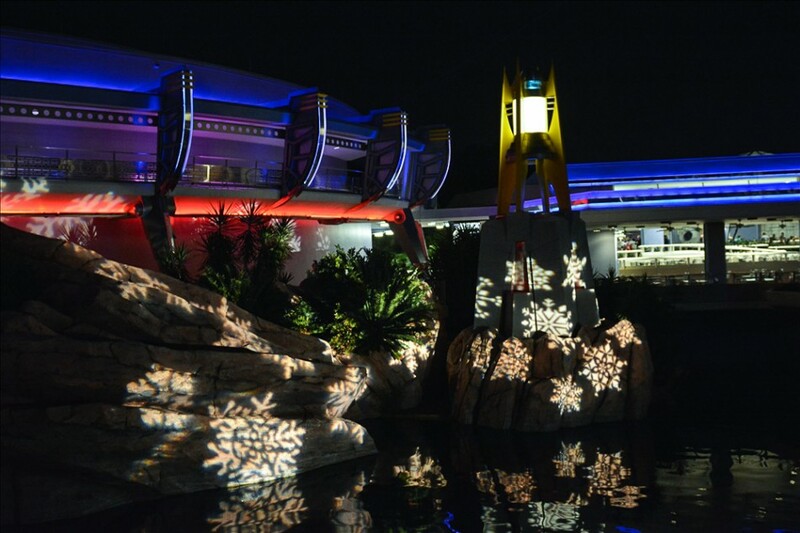 There are lots of characters out for meet and greets and they’re all wearing their holiday garb, from scarves and hats to beautiful holiday gowns. 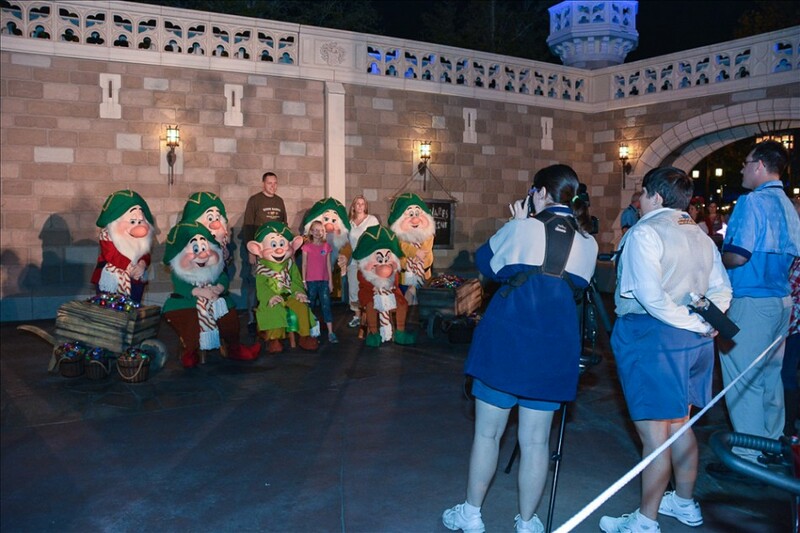 The Seven Dwarfs rarely come out to play – they’re very hard workers you know! 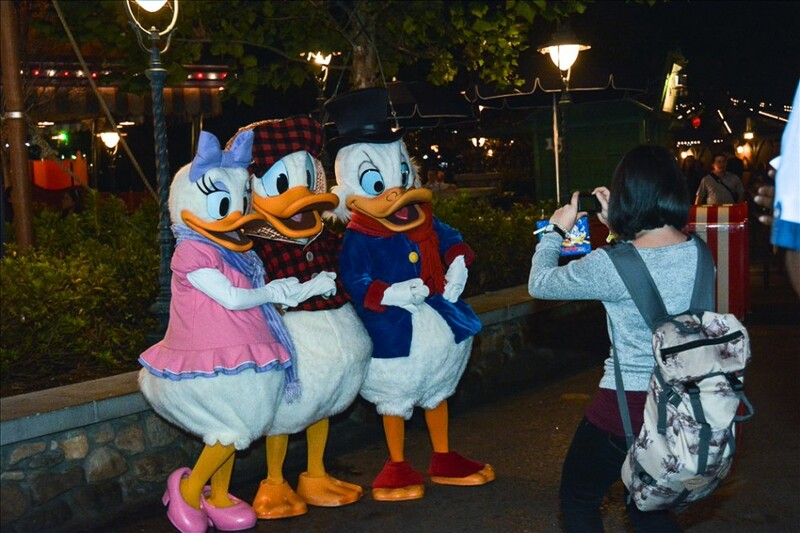 But they set aside their picks and shovels for their friend Mickey’s Christmas party and pose for pictures with Guests. Everywhere you go, you’ll find yourself singing Christmas carols. If the piped in music doesn’t hook you, there might be a few cowboys that show up to serenade you. 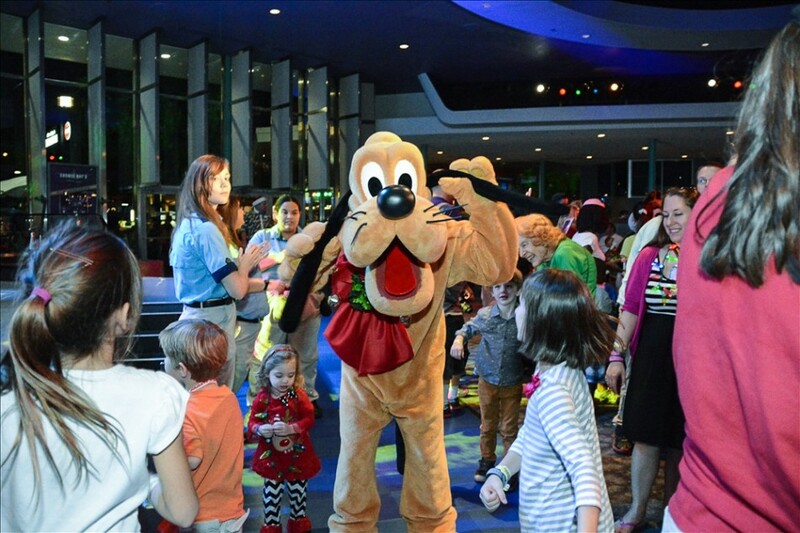 Lines are often very short at the party – now that’s special! 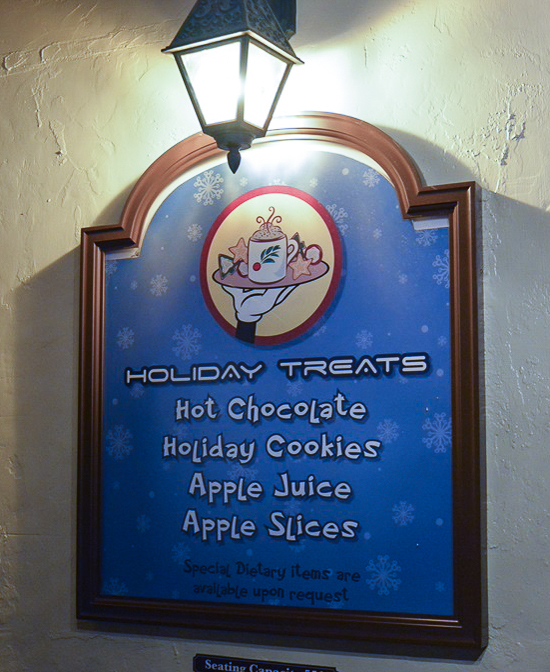 You can’t get free hot chocolate and cookies just anytime, only at the party. I know, they aren’t really free, but it feels like it! 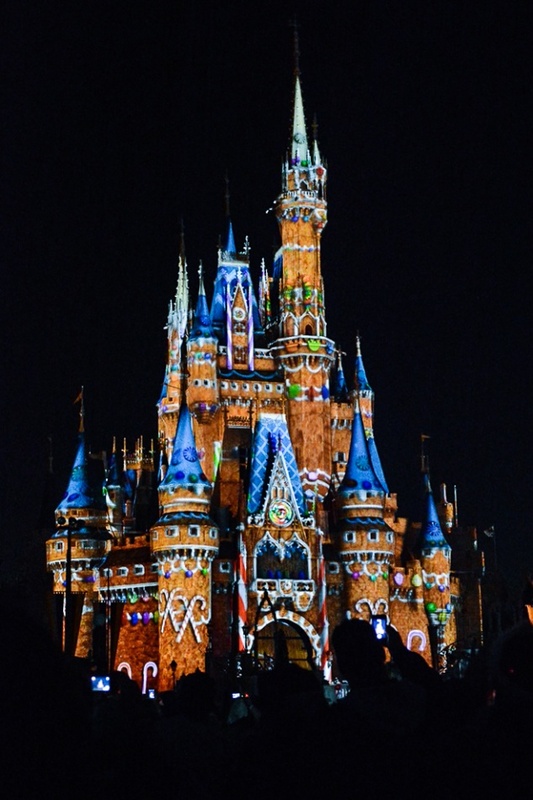 At the party, Celebrate the Magic has a festive finale where you’ll see a gingerbread and candy cane castle, along with other holiday overlays. 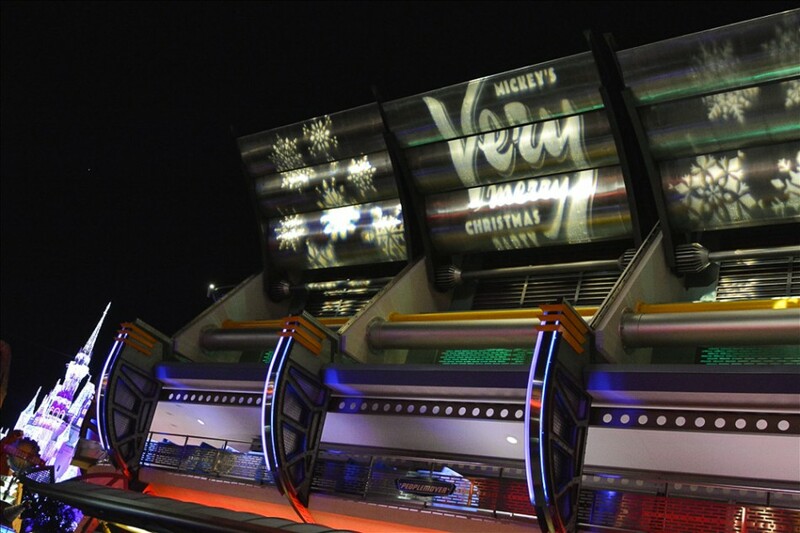 This is such a simple thing but I love the snowflakes and holiday greetings that are projected on the buildings and pavement around the park. 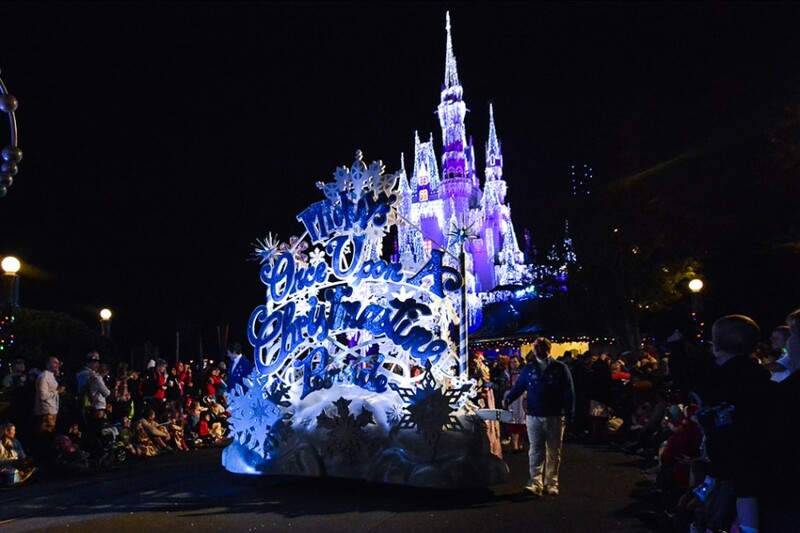 Just the fact that there’s a Christmas parade is special enough, but there are actually two Christmas parades to delight everyone at the party. What else do I need to say about this – who doesn’t love the tin soldiers? 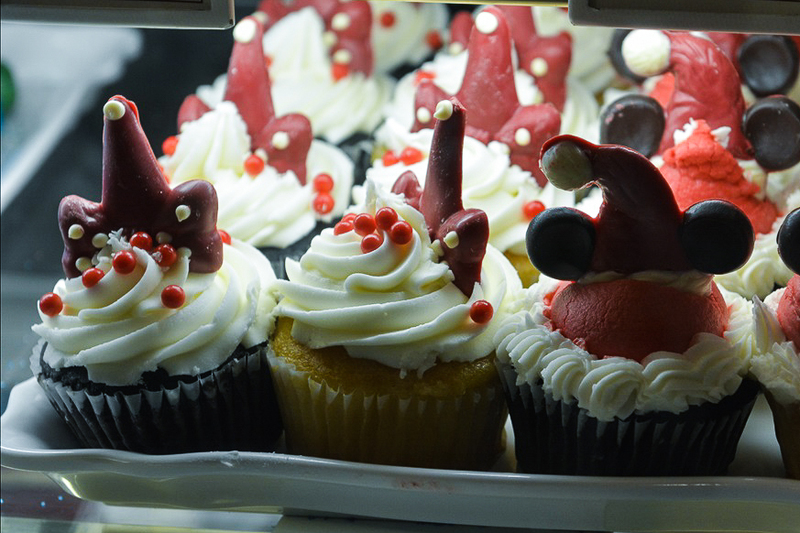 You can get special Christmas treats at other times, but I swear, they taste better at the party! 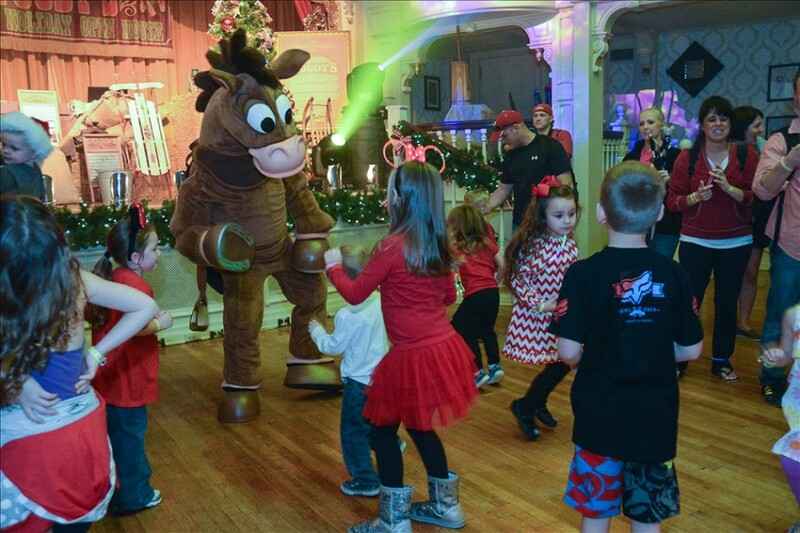 There are two dance parties during the party and they are a blast! This show is really good. 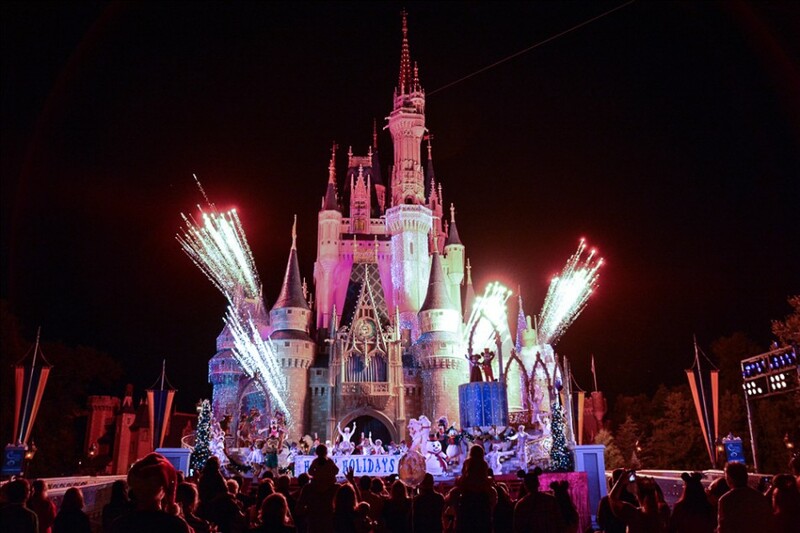 The dancing and singing are top notch and true to Disney form, the finale as fireworks. 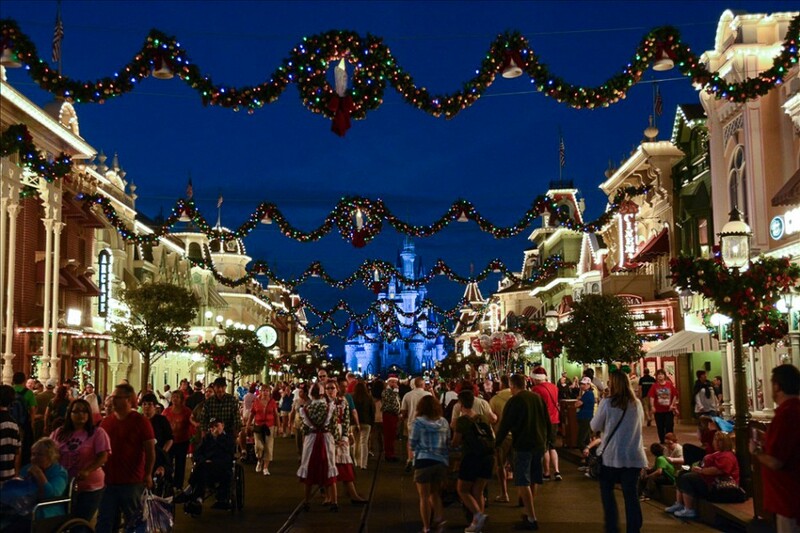 In the Magic Kingdom, you can only meet Santa at the party. 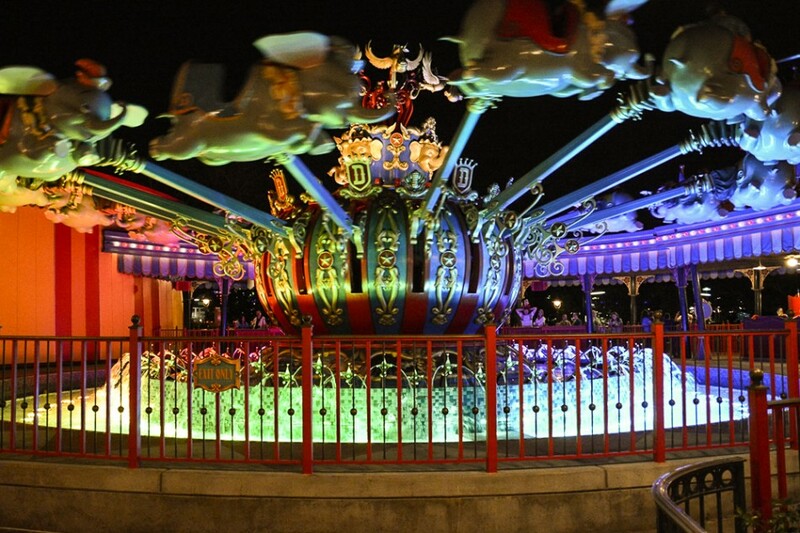 He has a very special meet and greet area at the front of the park. If you miss him there you can also catch him at the end of the parades. 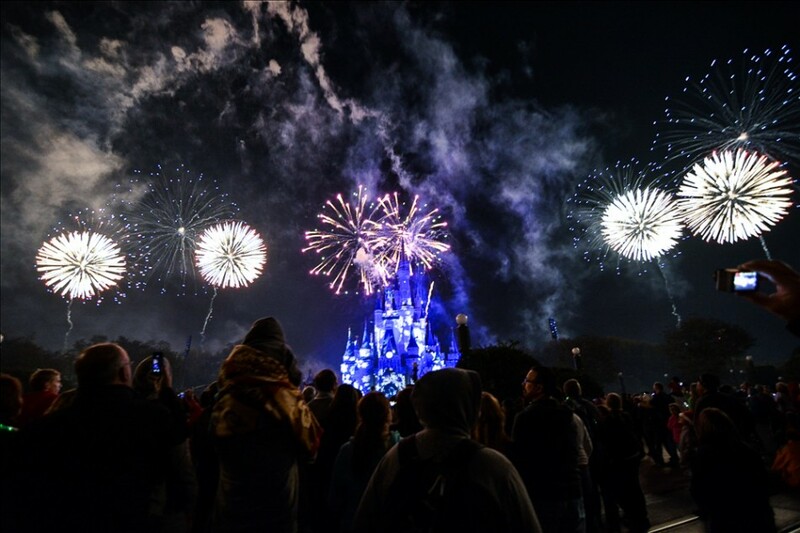 Wishes is a spectacular fireworks show, but Holiday Wishes is even better with fireworks going off all around you. At the end of the night, I like to take time to look back on this before leaving. 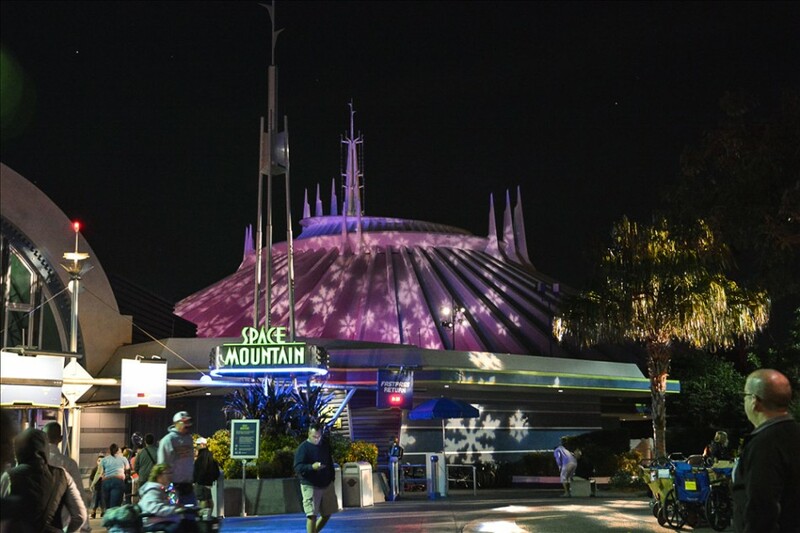 All the fun and festivities of the night fade, the music quiets and the snow almost seems to blanket the Magic Kingdom. Sigh. 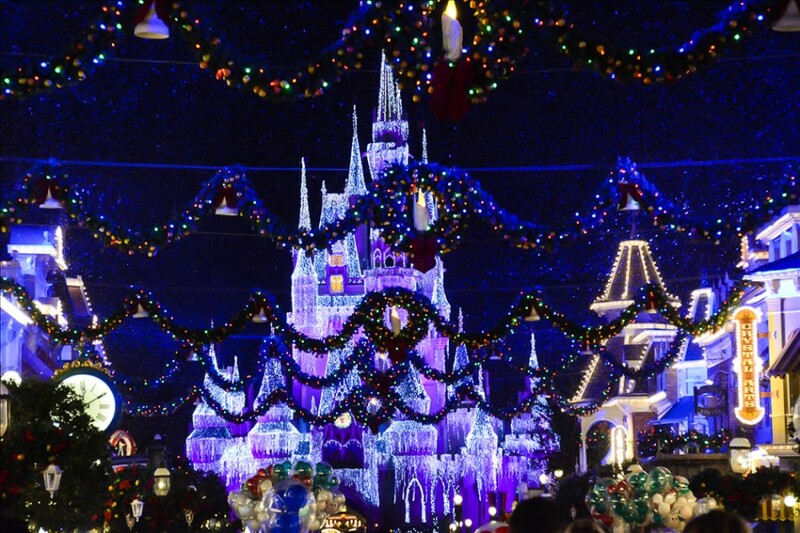 Mickey’s Very Merry Christmas Party is special indeed. I look forward to it each year and love to take that spirit of the season home with me. Merry Christmas!